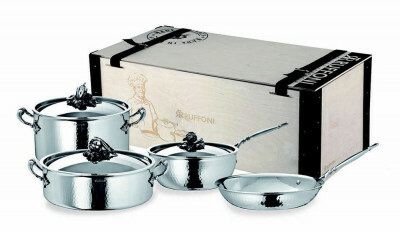 Set 7 pcs.Opus Prima colletion by Ruffoni. This is a superb set of top quality Stainless Steel pans which have been manufactured in the Italian Alps by the famous Copperware company Ruffoni who have extended their copper cookware range with Stainless Steel. 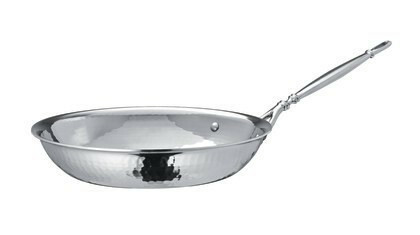 This Collection comprises of a Braiser with lid 30cms; a Stockpot with Lid 26cms; a Frying pan 26cms and a Chef’s Pan with lid at 24cms. Due to the ingenious use of a ‘sandwich effect’ of Stainless Steel and Aluminium, perfect heat distribution is guaranteed thus eliminating the possibility of ‘hot spots’ which therefore reduces the risk of burning your delicate sauces. 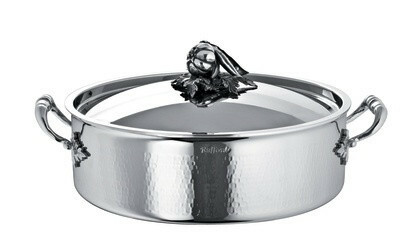 Each pan has a solid stainless steel handle and carries a unique serial number. The hand hammered exterior of the Opus Prima range makes it eye-catchingly beautiful. 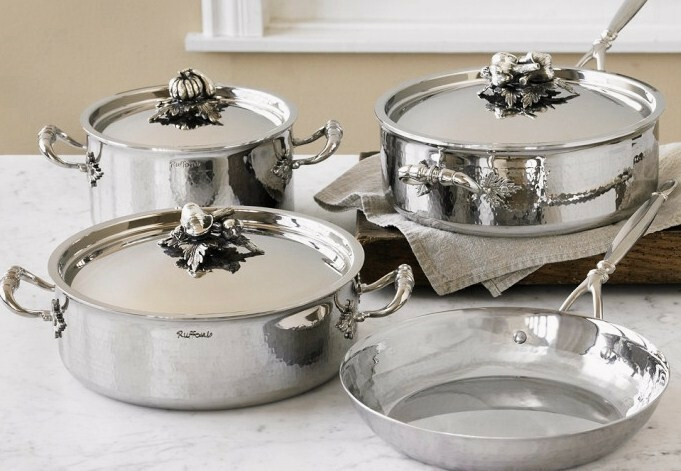 The Opus Prima collection is a luxury range of cookware which will glide from the hob to enhance your table. 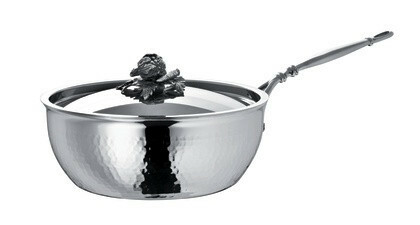 The pans can be used on any type of hob, including the induction hob. 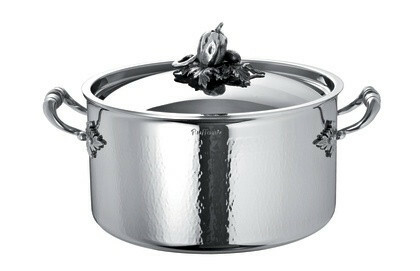 The Opus Prima Cookware will give you a life time of usage. Invest in this superb Collection and buy your Opus Prima 7-piece set in our ONLINE SHOP where we offer you advice, support and very affordable prices.